Setting up Geotagging between a Sony Alpha A7R III and an iPhone should not be the arduous task that Sony has created. The Sony Playmemories (Version 6.2) app is among the worst, least intuitive iPhone applications I have ever used. 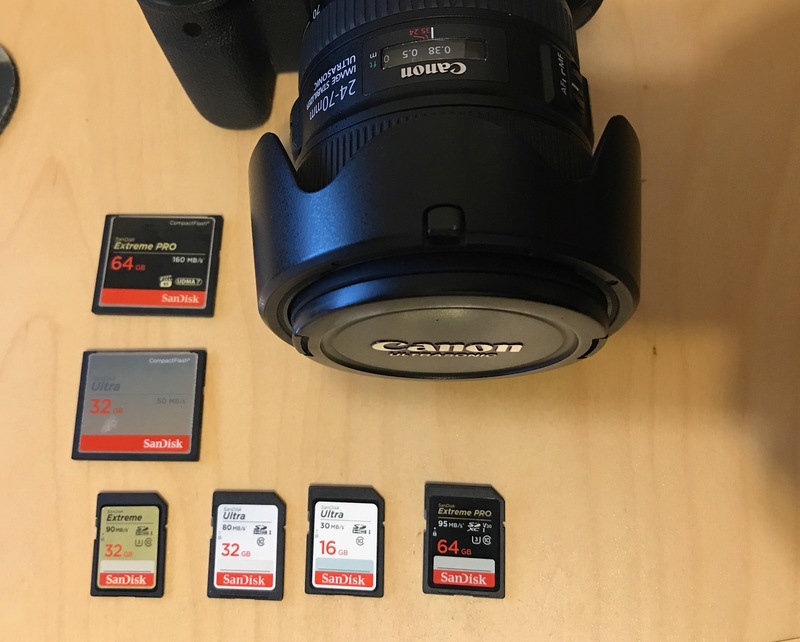 Summary: CF memory cards are faster than SD cards for capturing raw images on the Canon D5 mark IV camera. Don’t use speed alone as an indicator of whether an SD card would outperform a CF card. A 50 MB/s CF card out performs a 90 MB/s SD card in my tests.